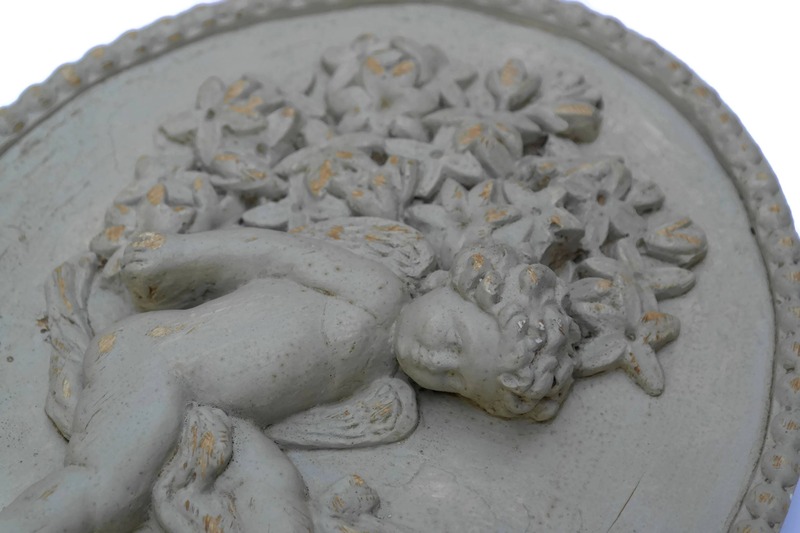 Vintage French Cherub Wall Hanging Plaque. 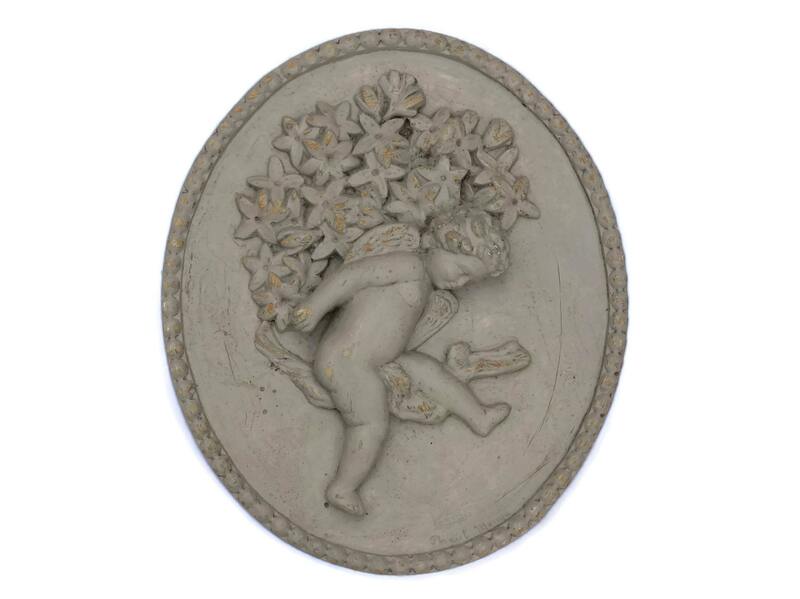 A lovely vintage French cherub wall hanging plaque. 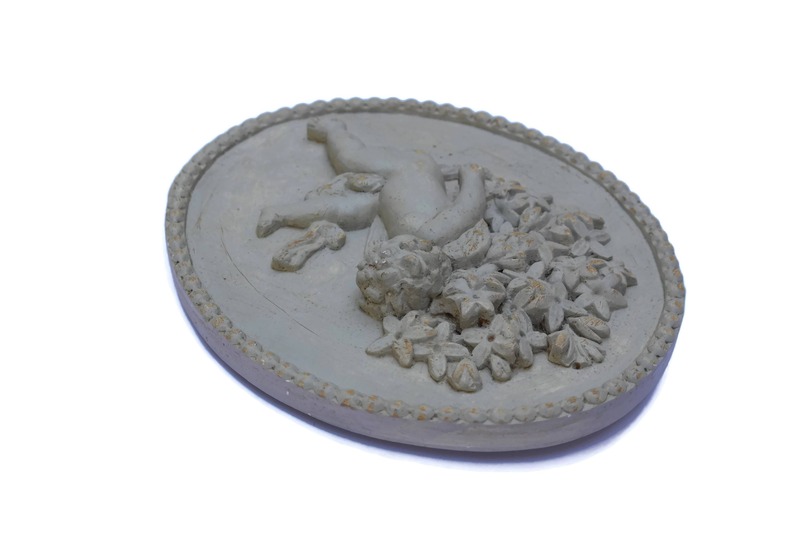 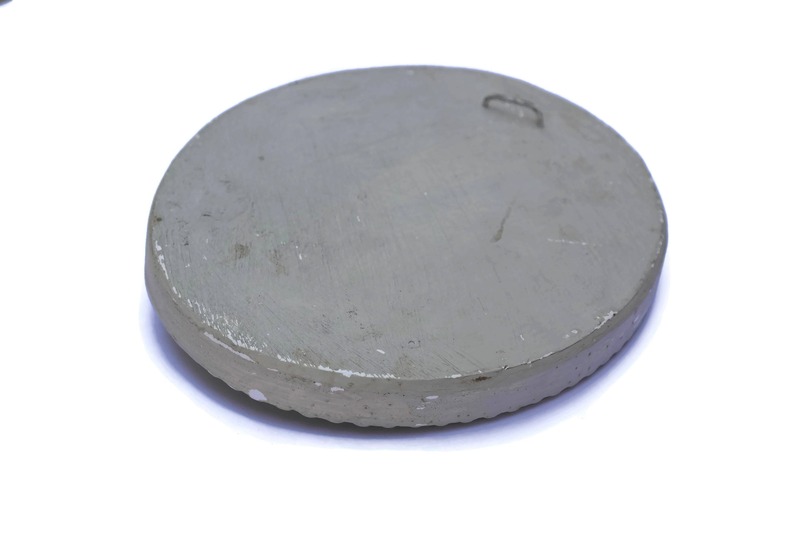 It has been created from cast plaster and decorated with an aged beige patina. 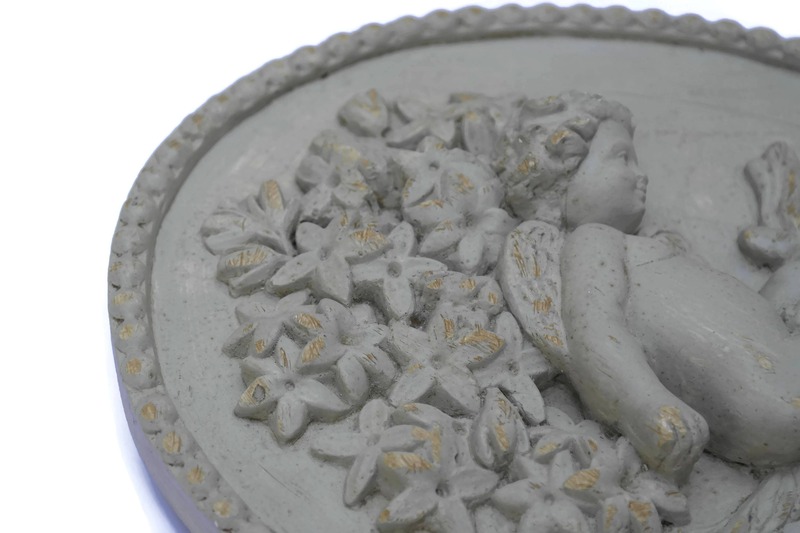 The plaque features great attention to detail and is filled with shabby French charm. 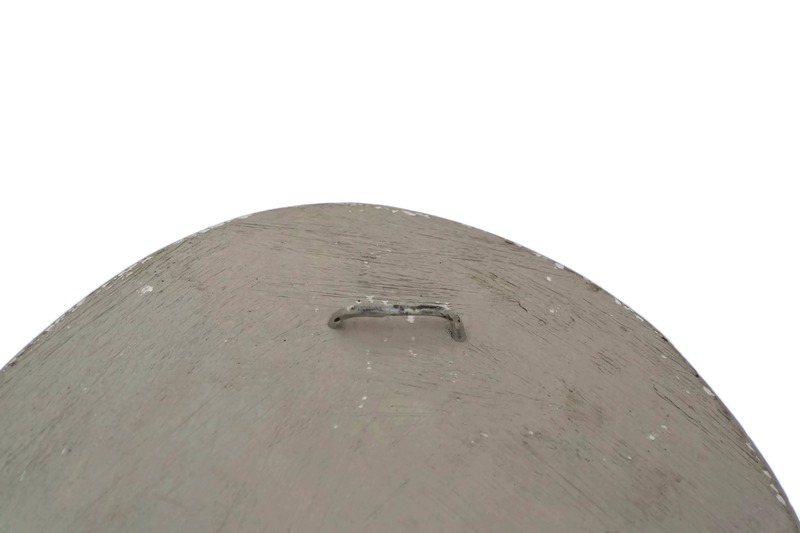 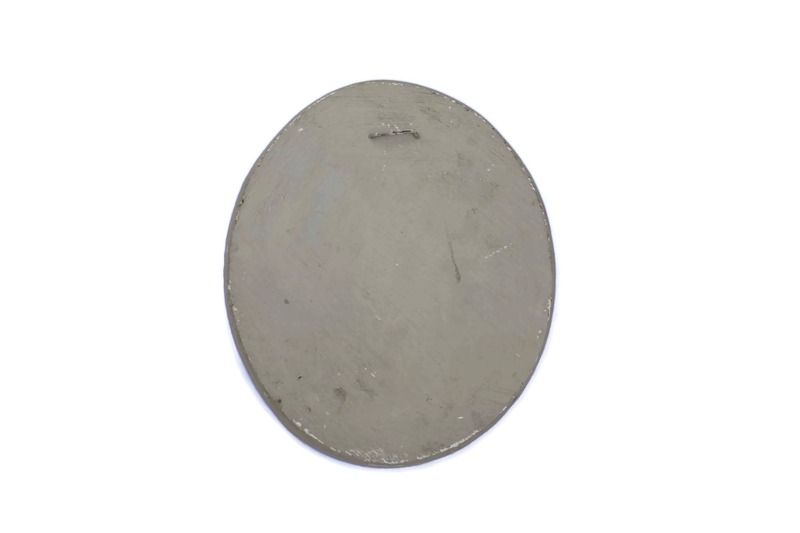 A hanging hook has been added to the reverse side. 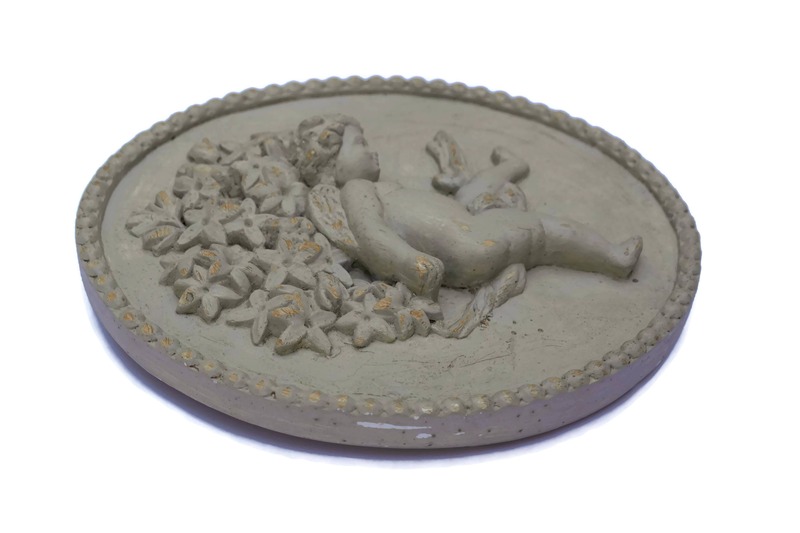 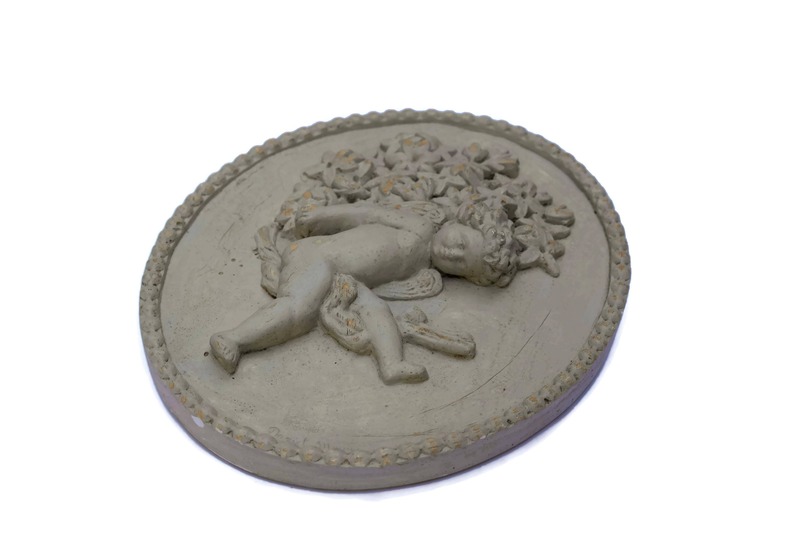 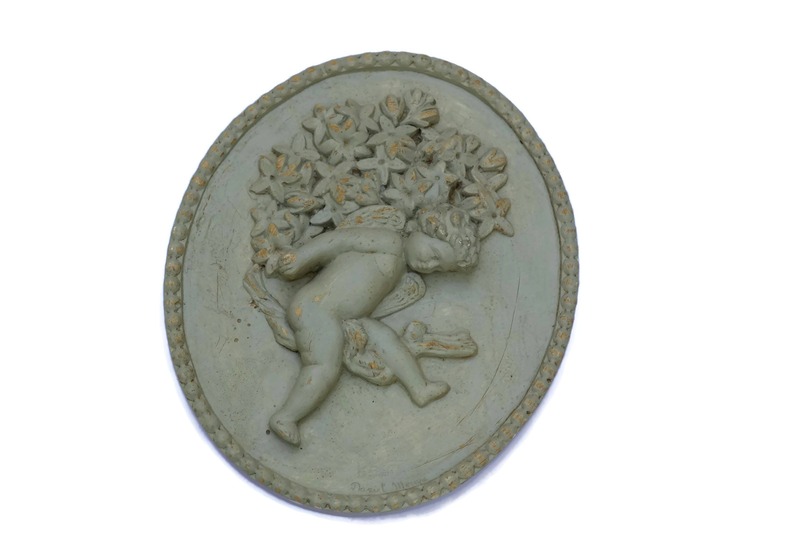 The French cherub wall hanging is in very good vintage condition with patina and light wear to the surface.